POLL: Favorite Feature On ‘Damn Fool’ ? 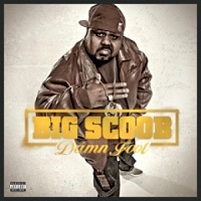 With Big Scoob’s Damn Fool now officially out, fans everywhere have been buzzing over slamming tracks like “Damu” and “Drunk & Stupid”. Scoob didn’t ride out alone for Damn Fool though, as he brought along a few friends for some banging guest spots. Everyone from Tech N9ne to Bumpy Knuckles dropped straight heat for Scoob’s album. Even Krizz Kaliko and Irv Da Phenom made appearances on some of Damn Fool’s catchiest hooks. With so many guests, we would like to know who your favorite feature is on Damn Fool. Vote below for your favorite Damn Fool feature. Favorite Feature On ‘Damn Fool’ ? “Damu” and “Drunk & Stupid” were produced by Michael “Seven” Summers.